I hadn’t been to Greenwich for several years so it felt slightly bizarre to be visiting London’s most genteel south-eastern village two nights in a row. My first revisiting was to Trinity College of Music, situated in the glorious surroundings of the Royal Naval College, to accompany my mum to an alumni event. The second stage of my epic was to visit Georgian gastropub The Guildford Arms, just a short walk from Greenwich DLR and the mainline rail station, which I had been invited to review. The restaurant has two dining rooms, a private room and a sunken garden where we were planning to eat. Chef patron Guy Awford’s has considerable local form and so I had invited along my friend Catherine who lives around the corner from the pub for an insider’s view. 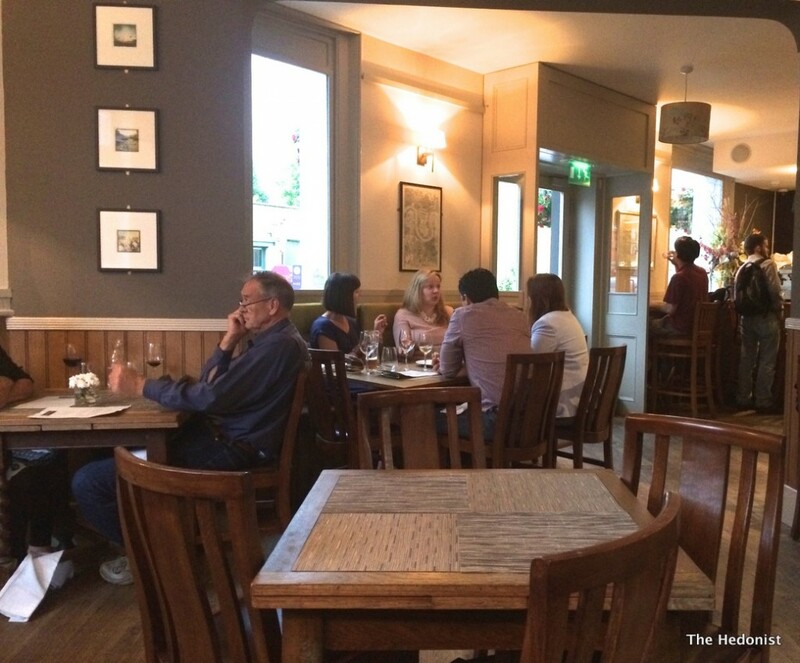 The interior is classic gastropub style and the drinks list has a well balanced and reasonably priced wine selection alongside the local Meantime beers and two seasonal guest ales. 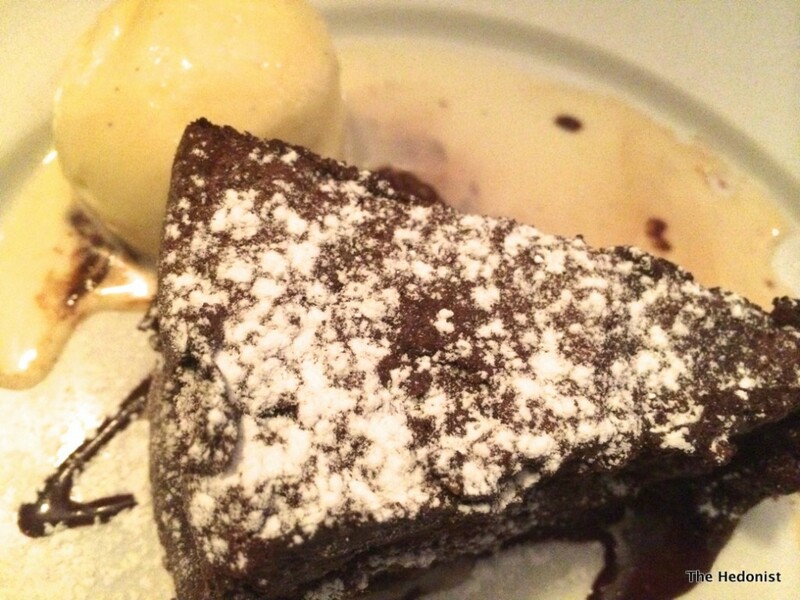 The seasonal menu changes monthly and is modern European with a British accent. 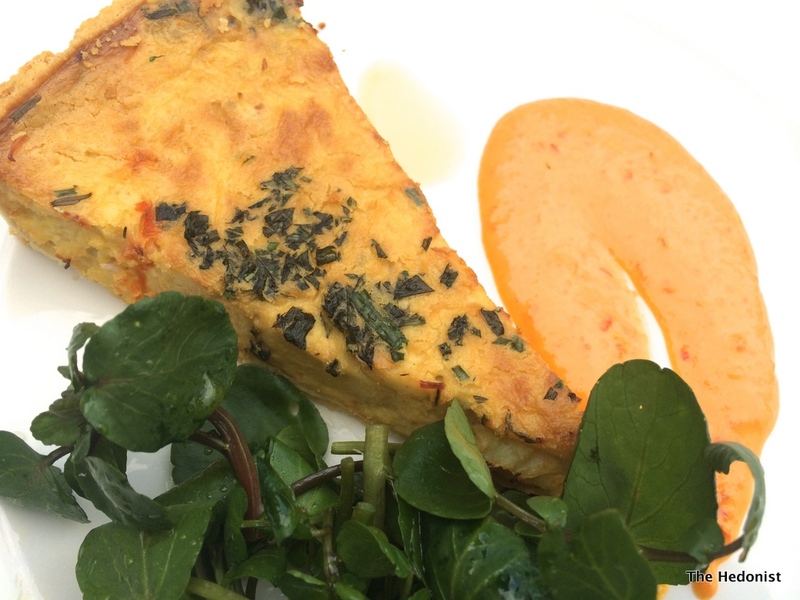 Cornish Crab, tarragon and chive shortcrust tart (£8) was light and suitably flaky with the fresh flavour of the crab not overwhelmed. The slurp of rouille on the side gave the dish a bit of bite. 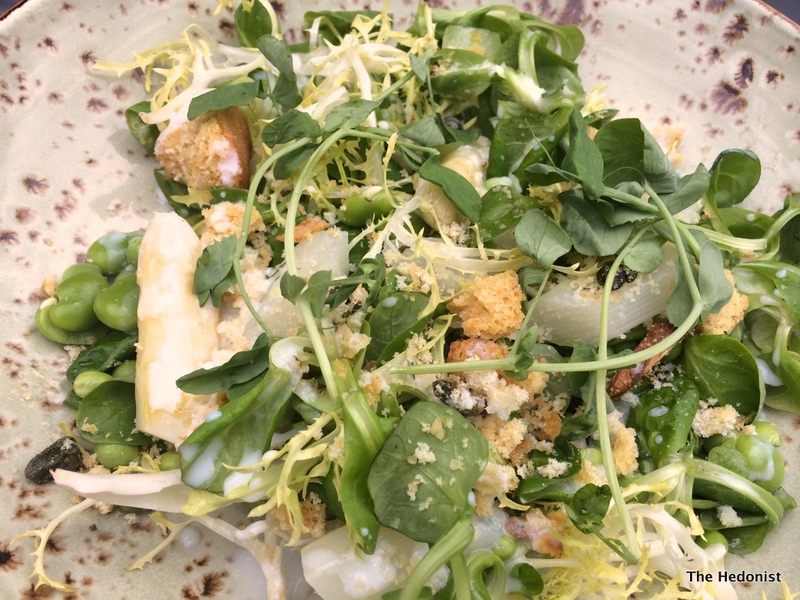 Catherine described her broad bean, asparagus and fresh pea salad as being ‘the perfect summer salad’. 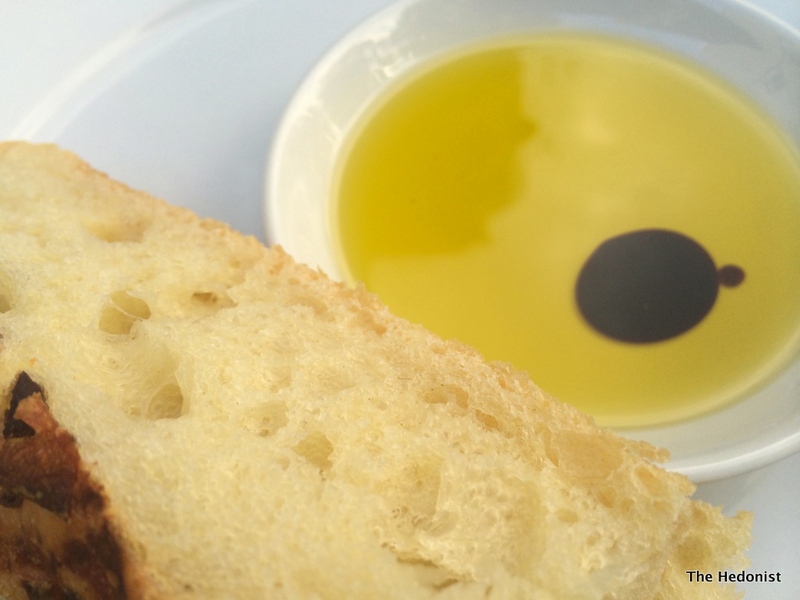 It was light and refreshing and given extra crunch by the garlic and caper crumbs. 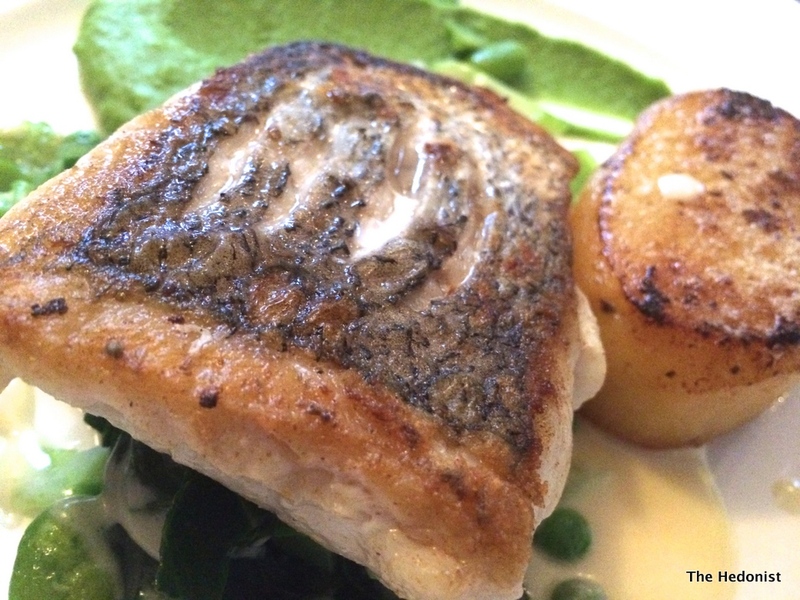 My piece of pan-fried hake (£10), which came with fondant potato, pea puree, summer vegetables and a white onion veloute, was a bit overdone for my taste. I like a crispy skin but the fish had dried out too much which was a shame as this could have been a refined take on a fish and chips. 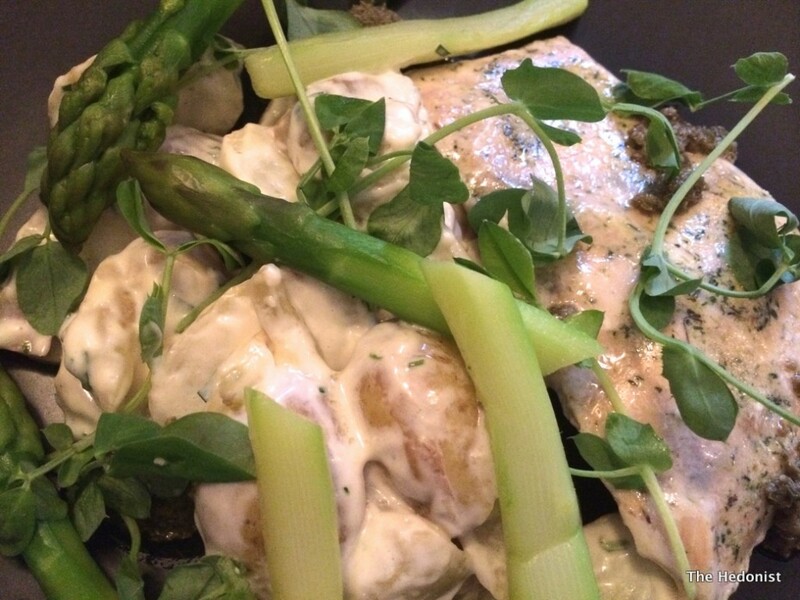 However Catherine’s poached sea trout (£16) and its accompanying new potato, artichoke and salsify salad, with asparagus and a caper dressing was a really well balanced dish with the sharpness of the caper dressing a perfect foil to the fresh flavoured trout and asparagus. 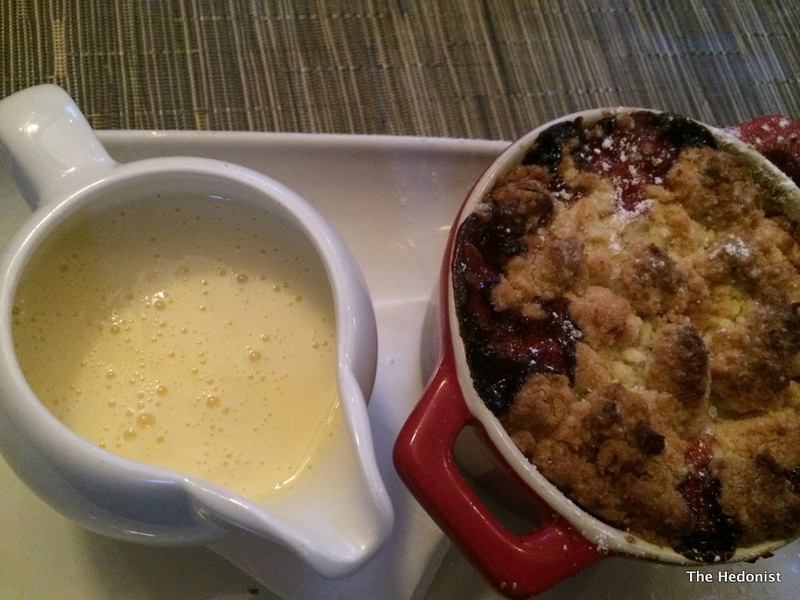 Rhubarb and coconut crumble with a ginger custard (£6.50) provided a warming end to the evening. Catherine is a rhubarb fan and heartily approved. 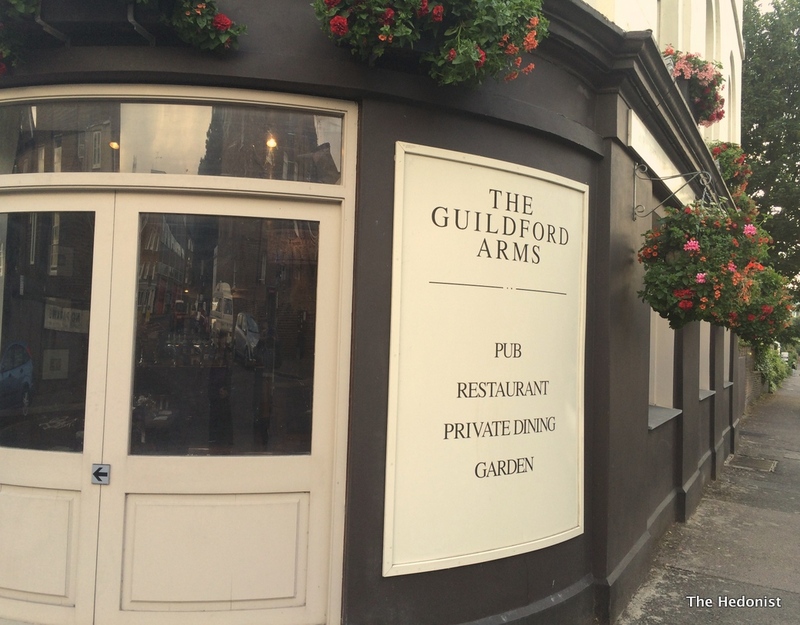 The Guildford Arms is definitely a cut above your average local gastropub. If you are a local or visiting the area you should give it a try.